Home Investigations Russian Whale Jail: Set Them Free! Russian Whale Jail: Set Them Free! 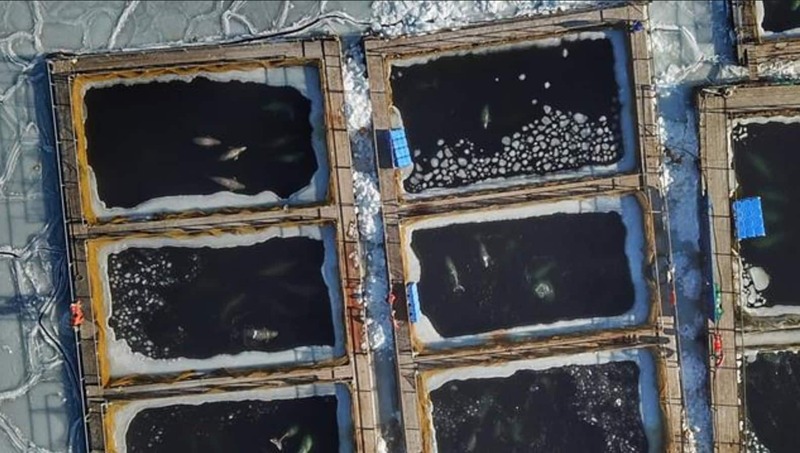 Russian authorities have agreed to initiate the release of 10 orcas and 87 belugas currently housed in overcrowded pens at a so-called “whale jail” off of the country’s southeastern coast. Initially captured by four Russian companies hoping to sell the animals to marine theme parks in China, the whales have been confined at Srednyaya Bay since July to October 2018. 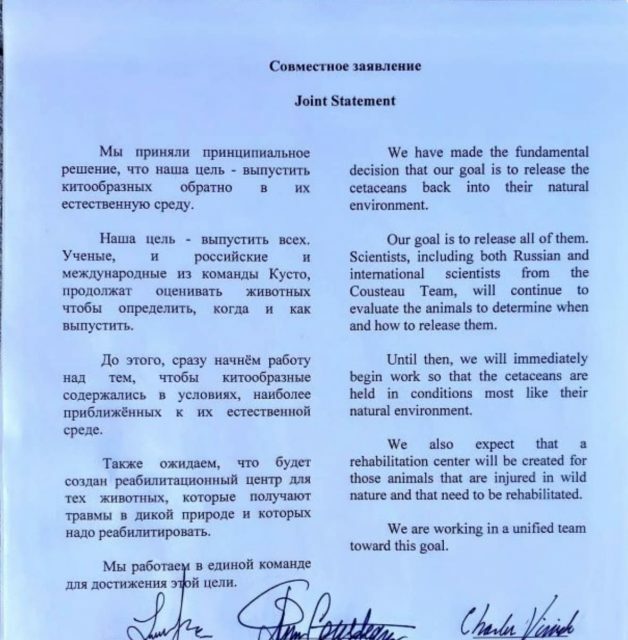 Per the newly announced joint statement—signed by the Primorsky region’s governor, oceanographer Jean-Michel Cousteau and Whale Sanctuary Project Executive Director Charles Vinick—a team of international scientists will work to map out the captive creatures’ best chances of survival, deciding “when and how to release them” and creating a rehabilitation center designed to facilitate the process. Although the animals could be freed as early as this summer, the Telegraph’s Alec Luhn notes that many of them are ill-equipped to return to the wild due to either poor health or a lifetime spent in confinement. The whales were originally caught in the northern waters of Russia, meaning they are unfamiliar with the area surrounding their current enclosure and would likely not thrive if released there. As Neil MacFarquhar and Ivan Nechepurenko report for The New York Times, the scientists instead hope to return the orcas and belugas to the region in which they were captured, enabling them to reunite with family members and better assimilate back into the community. Breaking News! Historic Moment for the Whales! 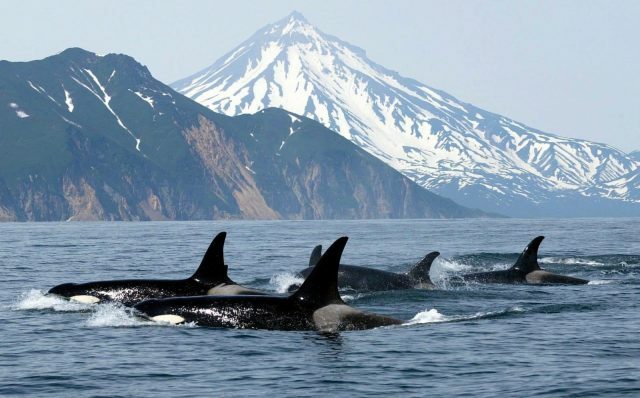 In January, Russian authorities invited researchers including Dmitry Lisitsyn, head of the Sakhalin Environment Watch, to evaluate the whales’ health. As Natasha Daly and Maria Antonova wrote for National Geographic the following month, Lisitsyn relayed stories of distressed belugas held in 12-by-10 meter spaces covered with ice subsequently broken up by “men crashing shovels over [the animals’] heads” and orcas experiencing symptoms of frostbite or fungal infection. Samples taken from 11 killer whales’ skin suggested that food left in the animals’ pens had begun to rot and infect their skin. 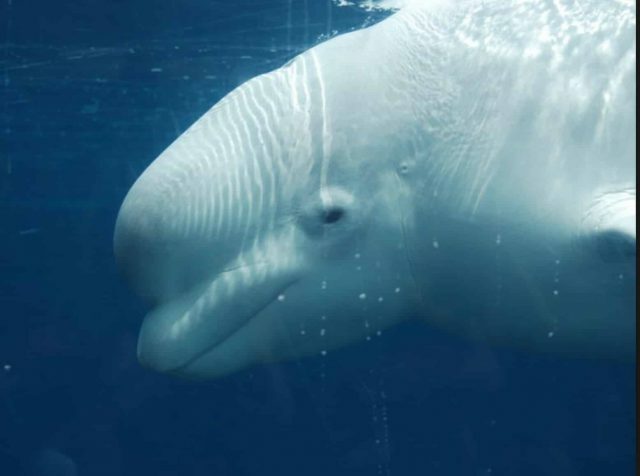 According to BBC News, three belugas and one orca known to belong to the original group of captive whales have since vanished and are presumed to be dead. At the time of the animals’ disappearance, local authorities claimed they had escaped, but as the Telegraph’s Luhn observes, activists believe otherwise. Officials brought charges against the four companies linked with the whales’ capture in February, Nataliya Vasilyeva notes for the Associated Press. Although the proprietors claimed to have captured the whales for legal “scientific” purposes, they reneged on this agreement and began arranging the animals’ export to Chinese marine parks. Such illegal sales represent a lucrative endeavor, CBC News’ Chris Brown explains: Activist groups estimate that orcas can sell for up to $5 million each, while belugas can sell for up to $150,000. Russia has some interesting social movements going on. For one example , check out,.. Stop a Douchebag videos on YT. The contrast with American policing is notable. Community policing is something that has existed in many cultures, and is actually natural among animals also.